Black Mask announced that they have a special, San Diego themed issue of Calexit available at the con, and that proceeds will benefit immigrants trapped in the nightmare of the current administration's policies. As the lines between fictional dystopias and our actual reality continue to blur, critically acclaimed comic book CALEXIT is making a difference for real families at the Mexican border. Profits from the brand new CALEXIT: ALL SYSTEMS SAN DIEGO #1 will be donated to San Diego Rapid Response Network, an organization dedicated to aiding immigrants and their families in the San Diego border region. 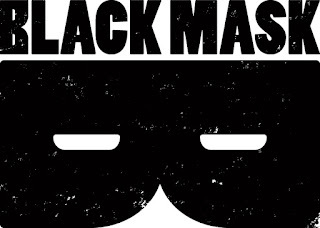 Writer Matteo Pizzolo teamed with artist Carlos Granda (Pirouette, Grant Morrison’s upcoming Sinatoro), colorist Lauren Affe(upcoming Stranger Things), and cover artists Ben Templesmith (30 Days of Night) and Tyler Boss (4 Kids Walk Into A Bank, upcoming Mr. 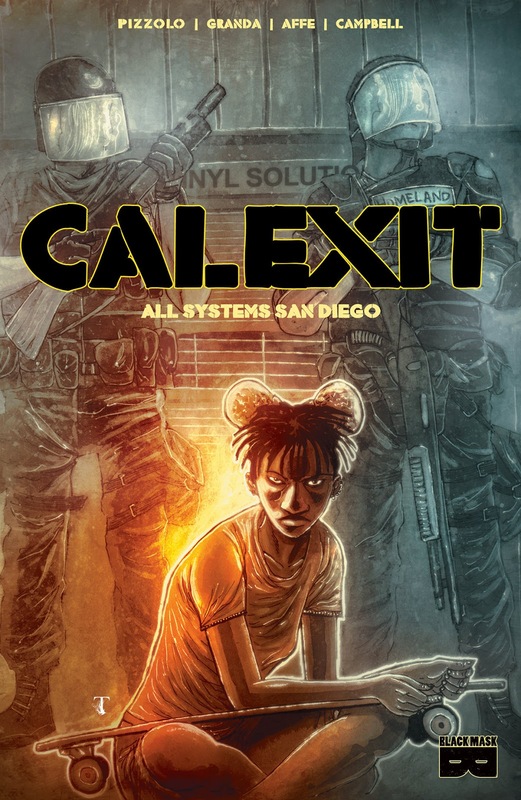 Robot) to create the new CALEXIT story, which goes on sale this week at San Diego Comic Con. The comic book, a story within the CALEXIT world, features all new characters in a San Diego-based adventure.